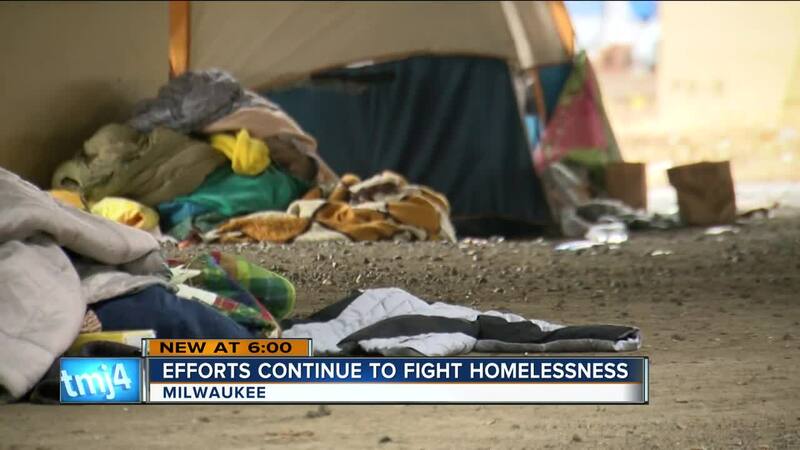 While standing at one of Milwaukee's homeless encampments, community leaders announced a new effort to combat homelessness Thursday. It was cold and windy Wednesday as the Executive Director of the Hunger Task Force Sherrie Tussler, Alderman Bob Donovan, and Alderman Mark Borkowski revealed the "Hunger Task Force Homeless Assistance Fund." "A hundred percent of any gifts that an individual citizen gives another person in the community will go to a local homeless shelter or warming room, in order to get those doors open and keep them open throughout the course of the winter," said Tussler. "We do have an appropriate number of warming room currently in the city we just need to raise the funds to allow them to increase their capacity and stay open much longer," said Donovan. To donate people can visit any of the 60 BMO locations in the metro area or head to the Hunger Task Force website . Donovan noted it was a sign of progress and they aim to get enough funding to open at 32 degrees. "My son and I were just driving the other day it was Christmas Eve, and I stopped because there was someone and I had money in my wallet," said Trisha Sacharski, who lives in the area. That is the attitude Sacharski teaches her kids because she knows it could be them out on the streets, but she believes the news could make a difference to others. "I think we're a little bit different in that, but I think other people might be hesitant and they certainly might appreciate a secured location," said Sacharski. Tussler said they will keep the new fund open as long as there is interest. You can click on the following link to donate: https://www.hungertaskforce.org/homelessassistancefund/ .